You are here: Home / Shopping Brags / Samantha’s Meijer Mania Trip!! So, I asked on Facebook for y’all to send in your pics and “shopping brags” from this week, since I may not be able to shop (we are moving). 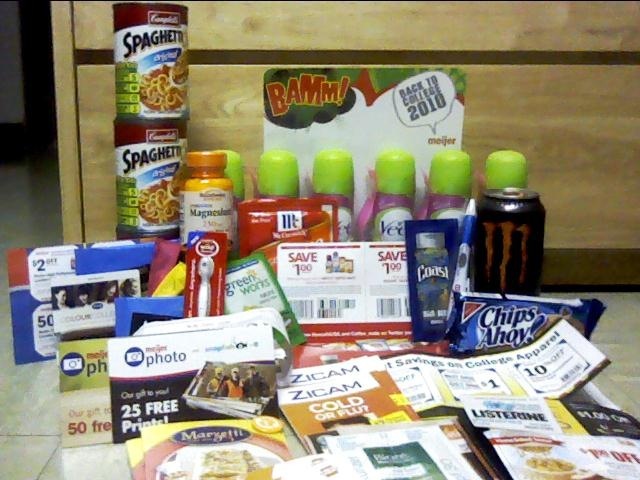 Samantha sent in her Meijer Mania “brag” Great job Samantha!! Way to go!! Paid: 3.69 after coupons & got back a $5 catalina. Nescafe Taster’s Choice pack and a LOT of coupons. Thanks again for sharing, Samantha! !